Clean drinking makes living a glass half full. Before juicing…I am way UP UP UP for the lemon water challenge. Every morning first thing: I drink warm lemon water. Diagnosed with manic depression, anxiety, fatty liver… I needed to make some serious dietary changes. I am vigilante about my health and diet, which is no longer a chore but a pleasure. 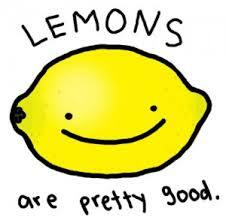 Lemon tastes refreshing and is really IS good for you. HERE’S HOW TO MAKE LEMON WATER..DAILY ! 2. Go straight to the kitchen and pour a glass of room temperature water (if you have digestive problems, use hot water). 3. 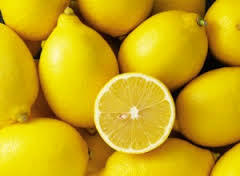 Cut a lemon in half (don’t use bottled lemon juice as it can contain sulphites which a lot of people are allergic to). 4. Squeeze the juice of the lemon directly into the glass of water. Water should turn cloudy. 5. Repeat the next morning, etc. 1)Helps to cut out caffeine. Replacing your morning coffee with a cup of hot lemon water will really do wonders! you will feel refreshed, and no longer have to deal with that pesky afternoon crash. It’s a sad fact of our cold weather existence — phlegm happens, especially in the morning, but lemon juice can help. 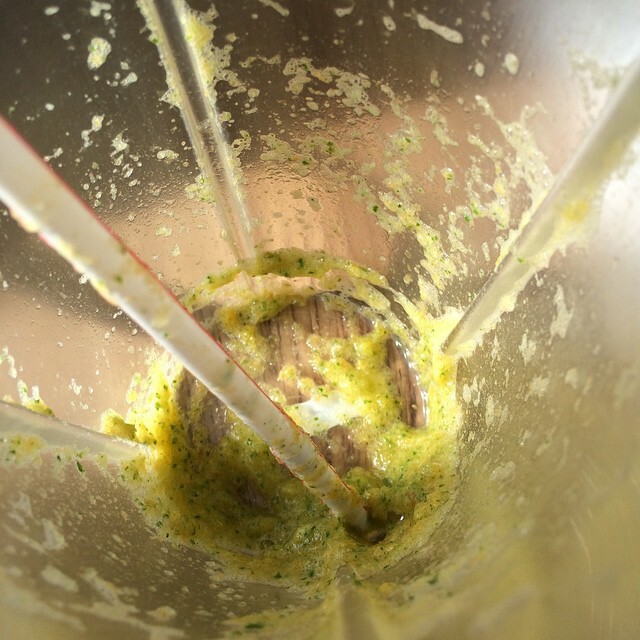 The antiseptic qualities in lemon juice help kill off bad bacteria in the mouth by acting as a disinfectant. 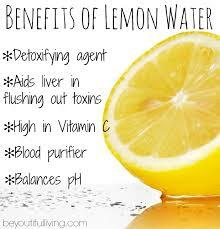 A glass of lemon water is also a healthier morning wake-you-up than coffee. The vitamins and nutrients in lemons help to increase your energy, particularly the high amount of vitamin C. Many note to feel energized and hydrated after drinking lemon water upon waking. Lemons are high in pectin fiber, which helps keep the body fuller, longer. They’re also a mild diuretic and very alkaline; alkaline bodies have been shown to lost weight faster.